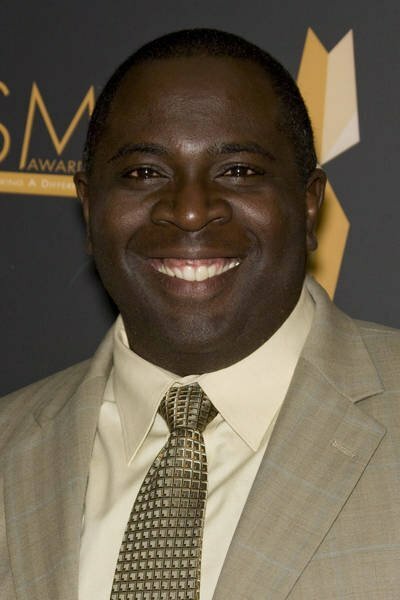 Gary Anthony Williams is an American screen actor who most recently appeared in Weeds and Boston Legal. Additionally, he is known for his recurring role on Fox's Malcolm in the Middle as "Abe" Kenarban. He has also been known for the comedy series Blue Collar TV as a regular cast member. He has done voices for Adult Swim's animated series including Uncle Ruckus for The Boondocks and Coroner Rick on Stroker and Hoop. Williams also appears on the Adult Swim's first live-action show, Saul of the Mole Men. Williams co-founded and is Artistic Director of the L.A. Comedy Shorts film festival in Hollywood, California. Williams was also voice actor of Yancy Westridge in the video game Alpha Protocol, he also voiced Horace Warfield in StarCraft II: Wings of Liberty. Williams was born in Atlanta, Georgia. Prior to moving to Los Angeles in 1998, Williams was involved in theatre, comedy and television in Atlanta, where his credits include acting with the Georgia Shakespeare Festival, performing and writing for Agatha's: A Taste of Mystery and being a longtime member of Atlanta’s longest running improv troupe, Laughing Matters. Williams had recurring roles in the television series I'll Fly Away and In the Heat of the Night, both filmed in the Atlanta area. Williams' past roles include Abraham "Abe" Kenarban (Stevie's dad) in the Fox TV sitcom Malcolm in the Middle and as Judge Trudy's Bailiff on Nickelodeon's The Amanda Show. Williams was a series regular on the WB Television Network sketch comedy series, Blue Collar TV. In 2003, Williams had a small role in an episode of CSI: Crime Scene Investigation, "Invisible Evidence." During season three and four of Boston Legal, Williams appeared as part-time lawyer Clarence Bell, a pathologically shy man who expresses himself through characters, including crossdressing as women . The part of Clarence/Clarice was originally to appear in one episode, but was expanded into a recurring role, and then a regular role. He also has/had a part in four different shows on Cartoon Network's late night programing block, Adult Swim, one being a STRATA technician on Saul of the Molemen, another as the self-hating African American, Uncle Ruckus on The Boondocks, Coroner Rick, a recurring character on Stroker and Hoop, he also played the role of Paul Revere on the television special, The Young Person's Guide to History. He is the voice of Mr. Dos on Special Agent Oso. He appeared on an episode of Hot in Cleveland as a drama teacher/soccer coach. In 2009 and 2010, he provided the voice of the supervillain Mongul for several episodes of the animated series, Batman: The Brave and the Bold. On one occasion, he also provided the voice for the character's sister, Mongal. He also voiced the supervillain Thunderball in The Avengers: Earth's Mightiest Heroes. Williams is currently working on a new Mike Judge animated series. He was only part of a segment in the show Beyond Belief: Fact or Fiction, and guest-starred on How I Met Your Mother. Williams also guest stars as the halfway house director in the 7th season of the TV show Weeds In 2011, he joined the cast of the animated series China, IL as the voice of Doctor Falgot. Williams was also in an episode of the show Workaholics. Williams has appeared in movies such as Undercover Brother , Harold & Kumar Go to White Castle, and Soul Plane. (On the Boondocks second season premiere, "...Or Die Trying", Riley Freeman and Robert Freeman are seen watching the Soul Plane 2 trailer, when they distinctly hear Williams and voice of grandad, John Witherspoon . He also voiced Sweet in The Trumpet of the Swan. Williams will also appear in the upcoming film, The Factory starring John Cusack. He was also a member of the soul plane's cast in the role of Flame. Williams, Fuzzbee Morse and Nick Jameson perform as the Flying Fannoli Brothers, an improv comedy band. He frequently performs in the improvisational shows Cookin' With Gas and The Black Version at The Groundlings Theatre in Los Angeles. Williams also returns to Atlanta to perform with Laughing Matters once or twice a year. Whole or part of the information contained in this card come from the Wikipedia article "Gary Anthony Williams", licensed under CC-BY-SA full list of contributors here.